Are you encouraging home working? Did you know its Work From Home Week? We look at the trends and barriers to flexible working as well as tools to manage remote workers. We're now part way through Work From Home Week, which aims to raise awareness of the benefits of working from home. For staff, it can result in a better work-life balance, with regular homeworking resulting in less time and money spent commuting. It’s also beneficial for employers too though, as flexible working can help staff to feel more contented in their jobs and increase their productivity. Work From Home Week promotes a form of flexible working; a regular topic in the news last year thanks to the introduction of new flexible working rights. Coming into force at the end of June last year, this legislation means that any employee who has worked at a company for 26 weeks or more can now request a flexible working arrangement, which includes working from home. 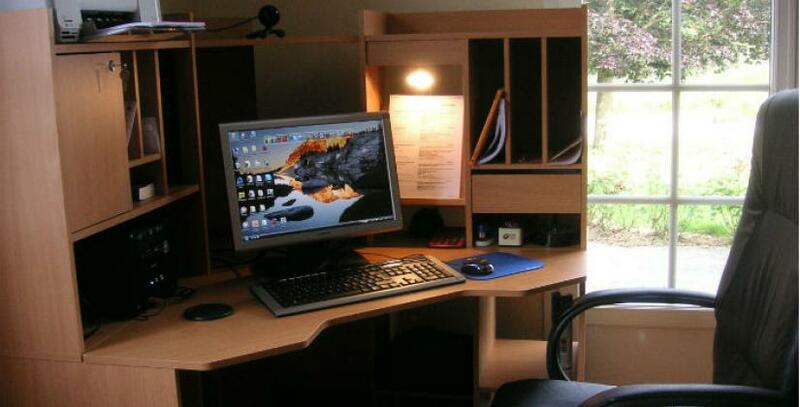 As many as 4 million people now regularly work from home according to the TUC. This has risen by more than half a million since 2007. There are also signs from some employers are recognising that offering flexible working can help to attract talented staff and accommodate older workers who may wish to continue to work at a reduced capacity past their pension. Samsung UK is an example of a large company that recognises the benefits of flexible working and supports Work From Home Week. It surveyed its staff and found that more than a quarter would prefer flexible working to a pay rise. However, not all employers are embracing flexible working and a CBI survey found that 42% of workers would feel uncomfortable about asking to work more flexibly. But being able to work remotely is particularly relevant at this time, when bad weather can affect whether your staff can physically make it into work – particularly if your business relies on a small number of employees. Many employers are hesitant about allowing staff to work from home regularly because they worry that less work will get done. However, there have been several studies that indicate the opposite. Those working from home are less distracted and tend to be more productive than their counterparts because they feel they have to prove their working outside of the office. For example, research by the Institute of Leadership and Management (ILM) found that 82% of managers said productivity, commitment and retention improved as a result of introducing flexible working. A more recent survey by the ILM also suggests that more staff than ever are planning to move jobs this year, so if you want to retain your valued staff, you need to encourage them to stay. According to the survey, 37% of employees intend to look for a new job in 2015. This is a sharp rise from the previous years, with 19% in 2014 and 13% in 2013. While the main reason was to progress their career, 25% want to move because they feel underappreciated. It also found that 18% want more flexible working opportunities and 30% want better management. Perhaps one of the most important factors for home working to be successful, you have to trust your staff and maintain good communication with them. In this age of technology and apps, there are plenty of tools to help you manage any remote workers. We’ve listed a few in a previous blog. These tools can help you to set visible targets and keep track of work. A concept that’s also becoming more acceptable is to manage your staff by their performance, not the number of hours they’re sat at their computer. ACAS has a good guide to get you started.